ProWritingAid bills itself as “a grammar guru, style editor, and writing mentor in one package.” Although it lacks the intelligence of a human editor, it’s darned good at finding weak spots and opportunities to strengthen your writing. It can certainly help you polish your prose. Software is a mixed blessing for authors. Spelling and grammar checkers find certain errors while missing others. They can give writers a false sense of security, but also save us from embarrassing problems. The key is figuring out how to use them, and not relying on them alone. ProWritingAid is a solid contender in this space. I just gave it a try, and was more impressed than I expected to be. This software is now part of my revision routine. PC users can embed ProWritingAid as a Word add-on, and Chrome users can use the Chrome extension. Personally, I would rather not have software arguing about using the passive voice when I’m writing in a state of flow. (I’m protective of my writing process.) I use the Web Editor in the revision phase. Once I have a first draft ready to revise and polish, I open ProWriterAid and paste the text into its Web Editor. When I’m done revising, I can export the file or simply copy and paste it into my blog. It’s probably more than you need. If time is short, click on the Real-time menu item at the left to see a quick summary of the most pressing issues. This menu counts the total number of grammar, style, and spelling issues found. Use it to perform a cursory clean-up of the work. Don’t accept all of its advice. For example, the software sometimes proposes that I remove commas I feel are necessary for readability. My response: Good idea, thanks! My response: Um, no thanks. Once I did that, the style suggestion disappeared. As with any editor (even human ones), there’s a difference between spotting problems and solving them. The software is good at identifying potential areas of confusion. It may not offer the best suggestions for fixing them. As the writer, you’re in charge of finding a better way to phrase something. Take the style recommendations with a grain of salt. 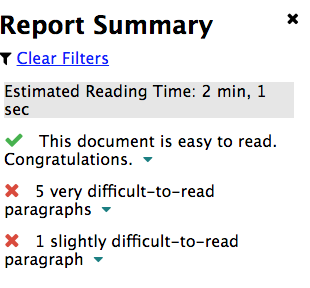 If you’re revising for the reader’s flow, use the readability report to look for areas that may be difficult to read. We all have words we use too often. Find yours. My Revising Your Writing course recommends eliminating word repetitions to sharpen the writing. Finding those repetitions can be onerous. The Repeat menu in ProWritingAid does it for you automatically. The Repeats menu underlines all repeated words and phrases. It may look confusing, but fear not! On the left menu, a summary identifies those words or phrases that appear multiple times. The Echoes menu is even more useful. Rather than finding every recurrence of a word, it looks for recurring sentence patterns and phrases. Unless you’re using repetition for a specific effect, these are opportunities to vary your writing. 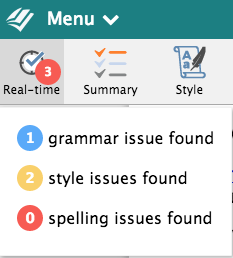 The Summary tab displays your scores for grammar, style, spelling and more. Check it out. But don’t get caught up trying to achieve a perfect score rather than writing something that serves the reader. Remember, sometimes you need to overrule the software’s recommendations. I could spend hours and hours revising and fine-tuning everything I write. My productivity would plummet. The real challenge is finding a balance. Overall, ProWritingAid gives me fresh eyes on the work, which is useful when time is short. If I’m disciplined, it saves me time. Don’t abandon your favorite human editor, but consider using this software to improve your drafts before you enlist a human being. Consider using ProWritingAid as part of your overall revision process. Check out my online course, Revising Your Writing. Sounds better than scrivener. actually have no idea, but I’ve been told that romances and young adult do well in https://usabookreviewers.com/ Maybe someone here has more intel about that as well as suggestions. 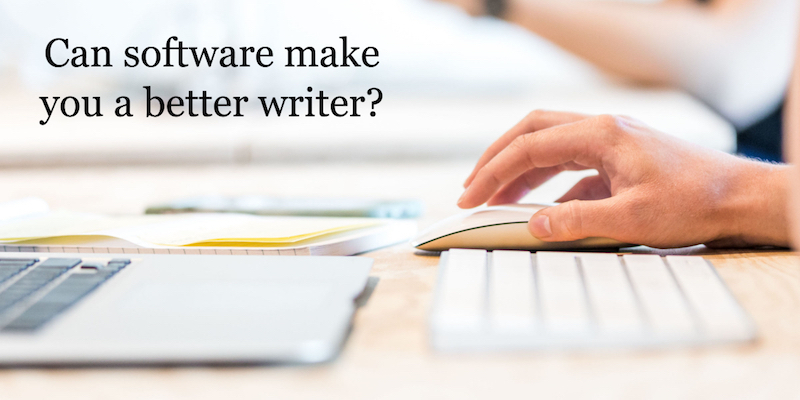 Dora – I haven’t used Scrivener, although I know writers who love it. I’m familiar with Word, so stick with that during drafting. Whatever doesn’t get in your way! Every writer needs ProWritingAid editing software to develop better writing skills and help them become excellent writers. It doesn’t focus only on writing mistakes but also deals with overall writing quality. This results in high quality, easier to read, unique, and free from any errors content. It makes your writing worth to publish and read.